Country Jack Abia are light and ultra comfy with cork footbed. The Abia also feature memory foam for extra comfort. The Country Jack Abia have brass buckle on the strap so you can adjust fitment. 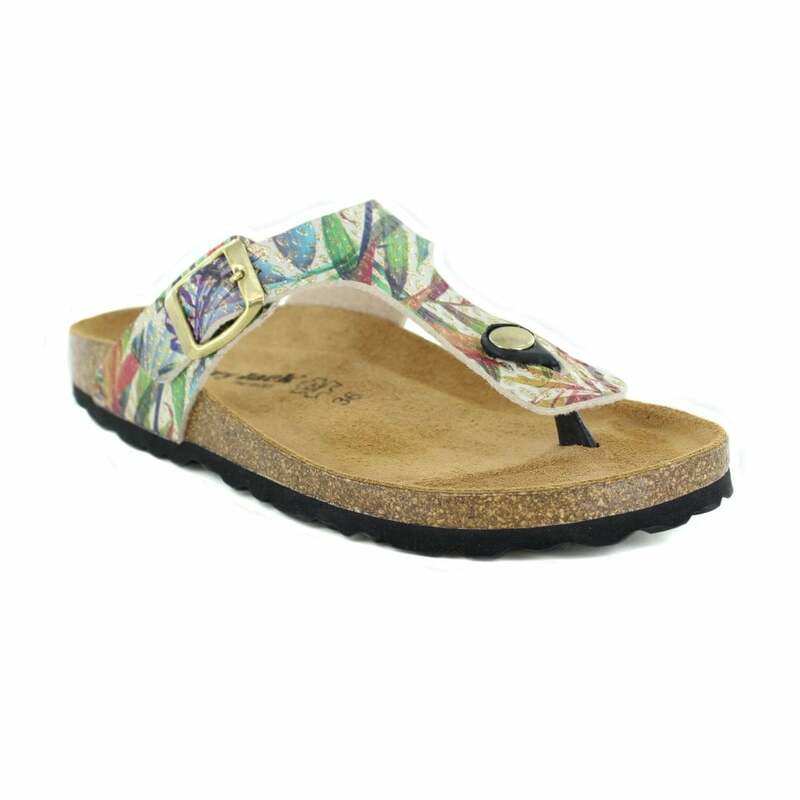 The Upper has a metallic style print with multi colour leaf design.